Our mission is to create added value as the best single-source provider of engineered service solutions for bulk material handling and processing using quality components. Our vision: Create customer satisfaction and build long term relationship through reliable and competitive supplies and to be your best partner in business! We have more than 500 kilometres of conveyor belts in stock: conveyor belts with 200+ different specifications in our warehouse that measures 22,000 square metres of floor space. 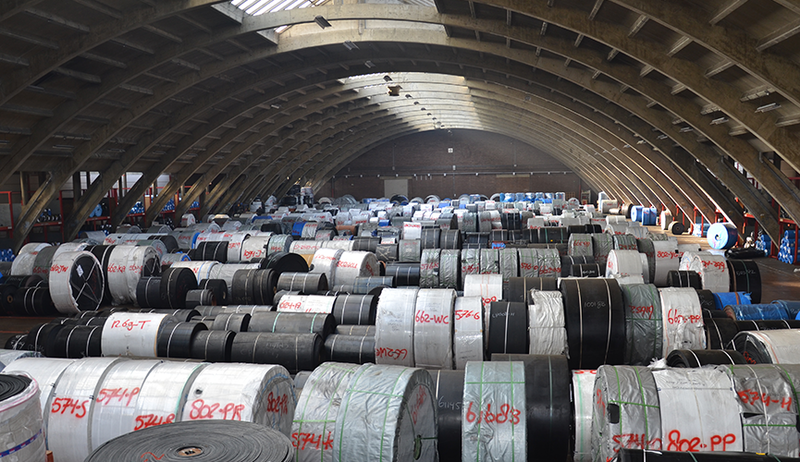 Thanks to our highly motivated team in the office and warehouse we can process tailor-made conveyor belts orders (cut lengths and widths) and orders for rubber and conveyor belt components and have these shipped within 24 hours throughout Europe. Please let us know, send us a message here.